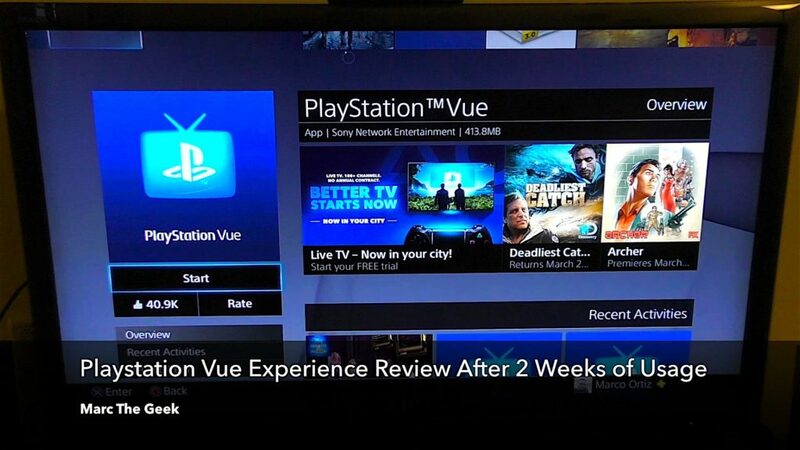 PlayStation Vue On Roku Guide: Roku is one of the most popular streaming devices available in the market. PlayStation Vue is a subscription based service that streams live TV, movies, sports channels, sitcoms and just about everything. The interface of the Roku is pretty basic and user-friendly. It is much simpler and bug-free than other streaming devices. To launch the PlayStation Vue on Roku, go to “streaming channels”, and then go to “new section” and you will see the PlayStation Vue App right there. Once you tap on the App, you can select “Go to channel” and install it from there. How To Access PlayStation Vue On Roku? Live TV is the most amazing feature of the PlayStation Vue on Roku. It shows highlights of what`s on right now and then you can go to “See All Live TV”. You get these squares that will show you a screen image of what`s on and then below it tells you what channel it is and if it is Live. If you want to view a live channel, tap on it. Suppose you want to watch “ESPN 2”, tap on it, it will show the channel name and the title of the show that is coming on that channel. Once you click the OK button, you can see the information of the show on the top left hand corner of the screen. Press the star button to turn on/turn off the captions. If the show is available in other languages, it will show right there. If you want to shift to another channel, tap on “UP” button on your Roku remote and it will get you to the main screen. Now you can switch to your desired channel. In modern times, when everyone is always busy with some chore or the other, TV viewing habits are slowly transforming to more of an “on-demand at your leisure” approach v/s a “live viewing” approach and that`s one feature of the PlayStation Vue on Roku that stands out. If you want to record your favorite baseball game, hit the star button on your Roku remote, and click on “Add to my shows”. It will now record your favorite show. So, if you are not able to watch live due to other commitments, you can put your show on record and watch it later. “My Shows” are basically all the shows that you are DVR-ing. You can also go to settings and search for any specific show that you wish to watch. Another benefit with the Roku is that you can fast forward through every program, even on demand content. So, you can fast forward through boring worthless commercials and save precious time. The picture quality on the Roku device is pretty darn good and it is much faster than other streaming devices. You can always go back and watch an old show if you want to. The experience that you get on Roku devices is spectacular! Try it out for yourself.